What is next after the US election 2016? Home » Accord de Paris » What is next after the US election 2016? As the climate change and global warming become day after day a really great risk to people lives, it becomes the big issue of the post US election 2016. Donald Trump, as he mentioned in his speeches and the debates during election, doesn’t seem to believe in the climate change as an environmental issue or even as a real scientific evidence. The president elected mentioned during campaign that investing in the climate change field is a waste of the U.S financial resources, and that the financial growth should be addressed to ensure the access of the clean water which by its role while guarantee the elimination of aliments like the malaria, and also to seek for alternative energy sources. During the first week of negotiations of the COP 22, the 22nd Conference of Parties in Morocco, questions were raised , about Trump’s situation via the Paris agreement and his intention to pull out the US of the Paris agreement, which will strongly affect the international efforts to limit the global warming. The US had pledged to $3billion to the UN Green Climate Fund which will give the financial support to the developing countries helping them to face the climate change. Stressing on the fact that, despite the elections’ results, fighting the climate change will strongly remain the first priority of the international community. According to observers, withdrawing the US, the world’s largest greenhouse polluter after China, from the Paris agreement will block other countries from fulfilling the agreement’s commitment and it will be considered as a step back from a process that already took years and years. The Paris agreement’s goal is to reduce the carbon dioxide emissions so that the atmosphere warming will drop down to at least 3.6 degrees Fahrenheit to protect the whole planet form a real extreme dangerous warming. Washington has already ratified the Paris agreement, the US is bound by the agreement to remain part of it for at least three years. After the three years, if really the US decides to cancel it, it must wait another year before it can formally leave. In the Middle East and North Africa with deserts covering large land of the region, it becomes hotter and hotter. It may become also un-habitable due to the severe droughts that this region is facing and will face. Besides that, sea level rising that will cause the displacing of millions of people and loss of land that would cost us billions of dollars. The Middle East region will need dedicated financing investments that will help to face these challenges, as the World Bank Group is committed to support these countries and others around the world map to low the carbon growth and to create 30 gigawatts of renewable energy, which will be enough to power 150 million homes. The Paris agreement is important for the Middle East countries which by its role helps to take the lead to mobilize climate worldwide finances towards the developing countries. While the Arab countries and developing countries are trying to execute the Paris agreement , it’s a shame to withdraw the most powerful countries from the global change that the international community is trying to achieve. Aya Kathir is a 23 years old young freelance egyptian journalist . She owns a bachelor of french litterature, obtained in the university of Cairo. Trilingual, she speaks arabic, english and french. She contributed to the famous newspaper « El Yom » as a poet. She was part of the university paper committee of the french litterature faculty. She is now based in the US where she is writing articles on human rights. 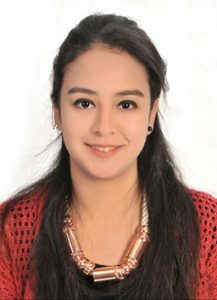 She is part of the online trainees of Eraenvironnement.com.